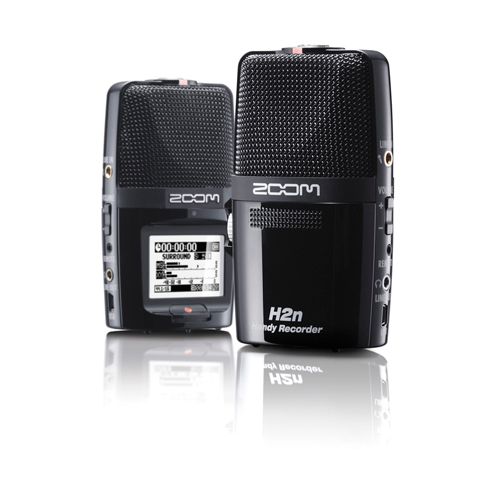 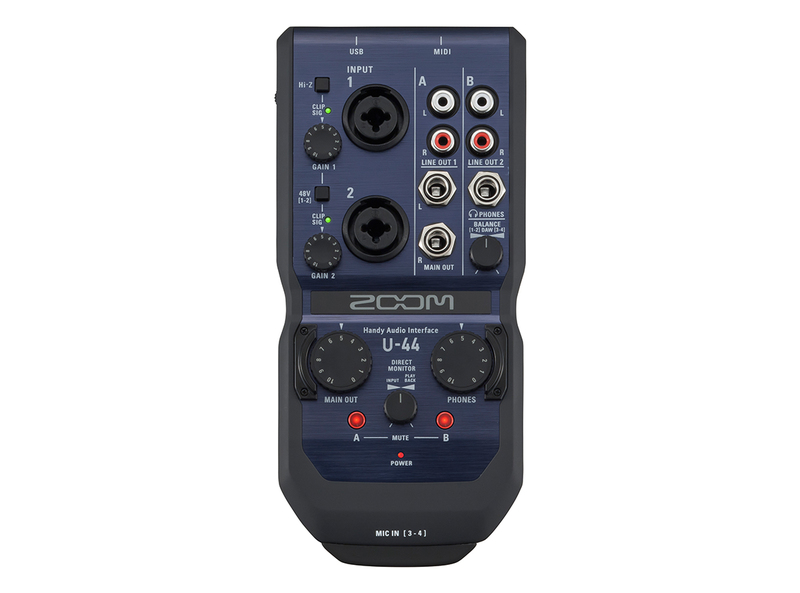 The U-44 interface uses the same high-quality, low-noise preamps as the Zoom H5 and H6 handy recorders. 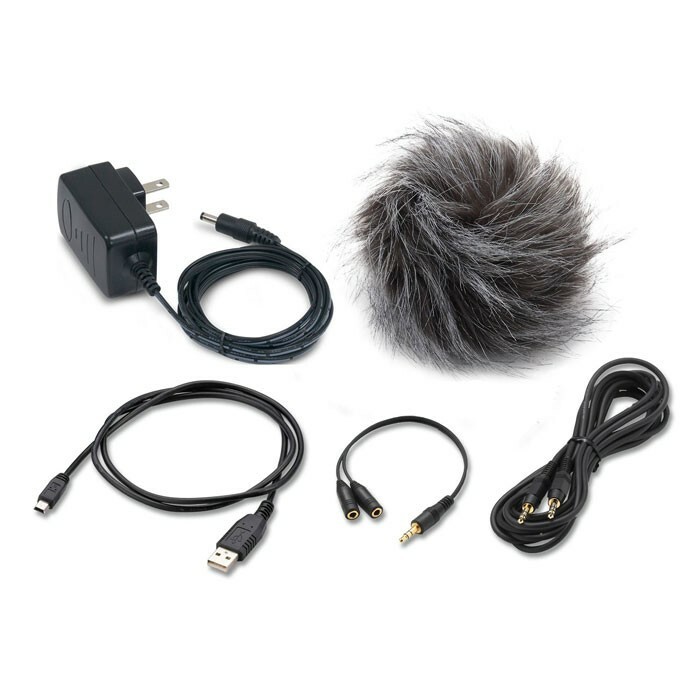 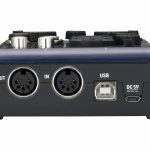 It features two TRS/XLR combo jacks for inputs, in/out S/PDIF Optical Toslink and S/PDIF Coaxial on RCA, MIDI In/Out, two TRS 1/4″ unbalanced jack outputs, RCA line-level outputs and a standard stereo headphone jack. 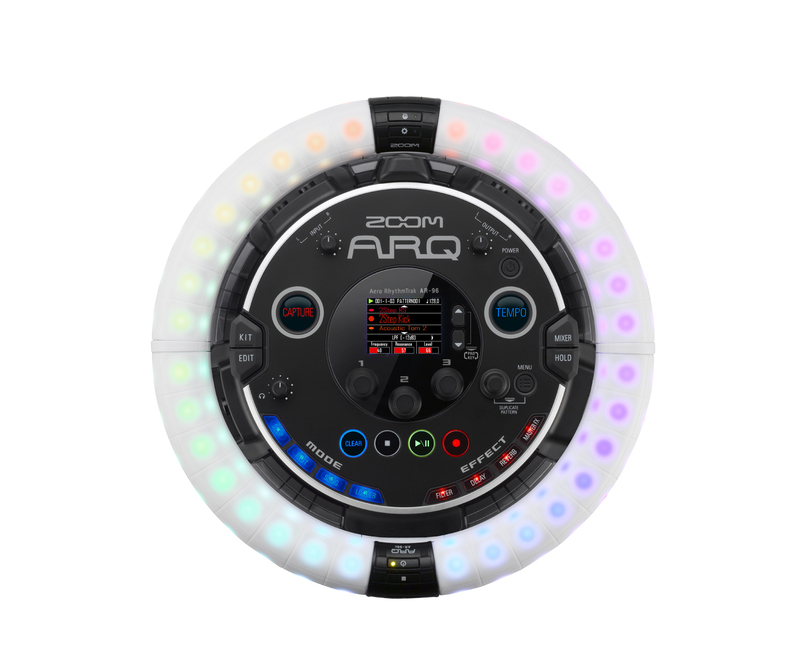 In addition, it is powered by two AA batteries, providing up to four hours of continuous operation with phantom power turned off. 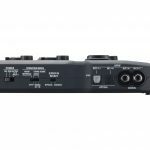 The U-44 includes a download code for Ableton Live 9 Lite software to get you started right away. 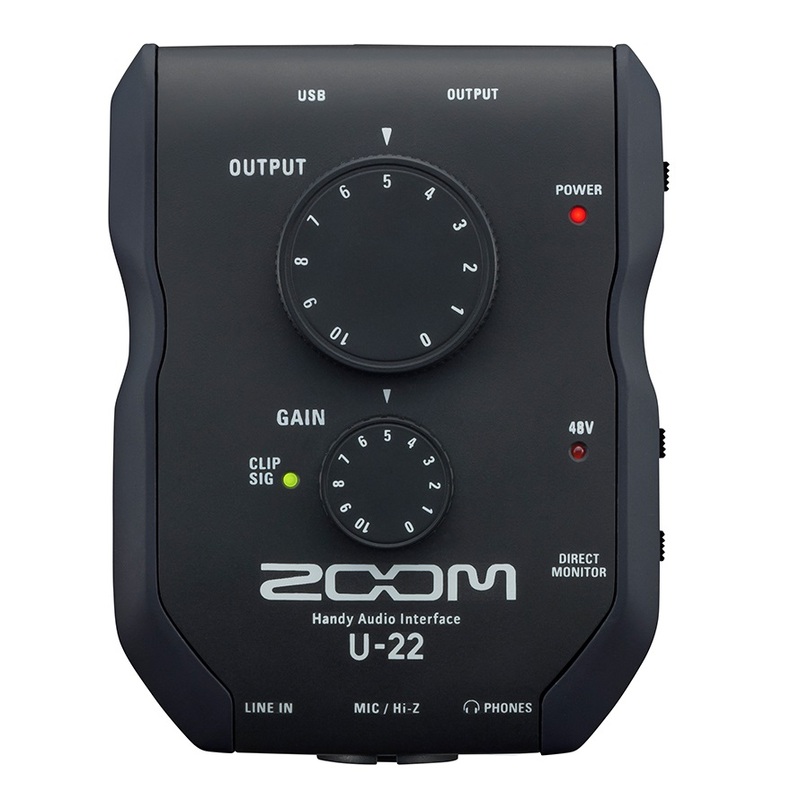 With advanced monitoring options, the U-44 lets you dial in the perfect mix with zero latency. 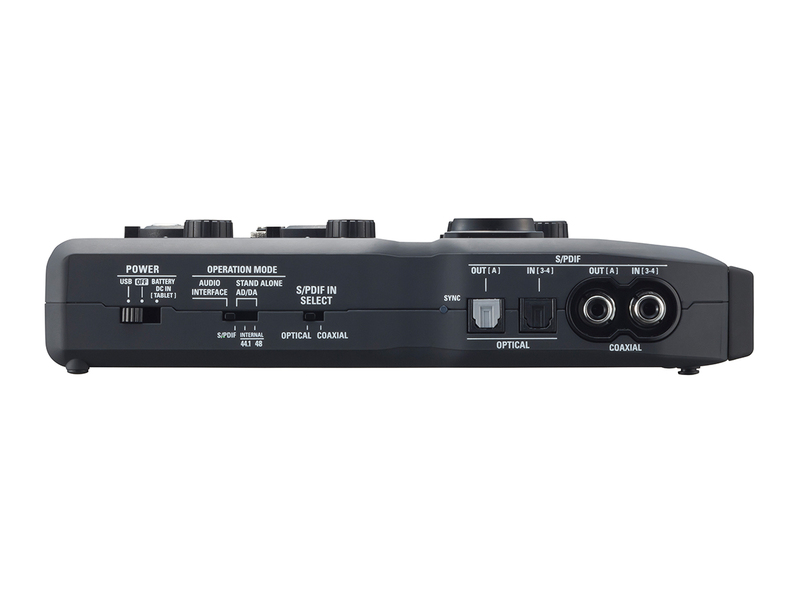 Create a balanced headphone mix between your click-track and main-out signals during live performances. 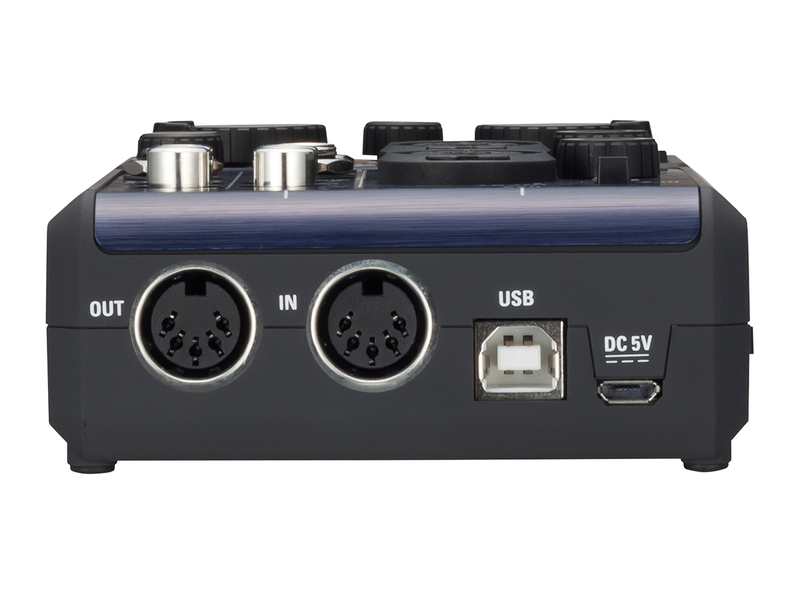 Or balance the cue and main out signals when you’re DJ’ing.